I’m happy to present to you the third post in a series of art histories of education. Previously, we have looked at how artists have depicted both school inspections and the back to school season, and this time I thought I’d explore the history of exam season as depicted through art. A common subject for artists depicting this period of frenetic preparation is that of the variety of revision techniques that pupils use. We’ll begin by discussing three paintings that take on this subject. 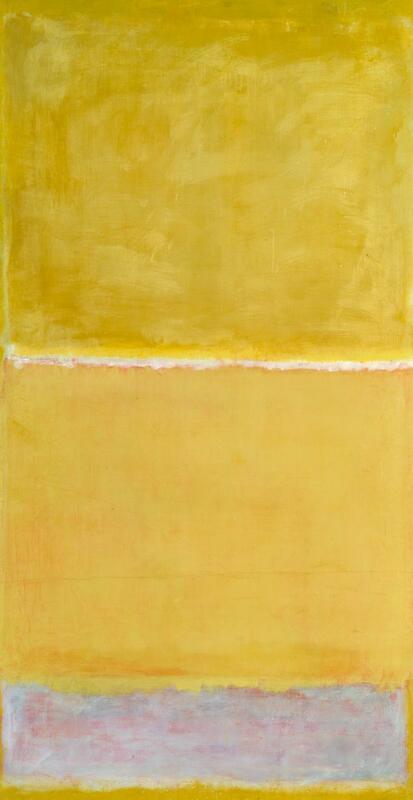 In ‘Highlighting the Key Ideas in the Text’ (c.1950-2) by Mark Rothko, the artist shows us how the pupil has smothered the entire text with his yellow highlighter, showing a lack of discernment between ‘the key ideas’ and ‘everything the writer has written’. You can see at the bottom of the page that the pen has actually run out of ink, much to the frustration of the teacher, who has only just bought this new set of highlighters out of their own pocket. Another subset of revision art focuses on the use of flash cards. 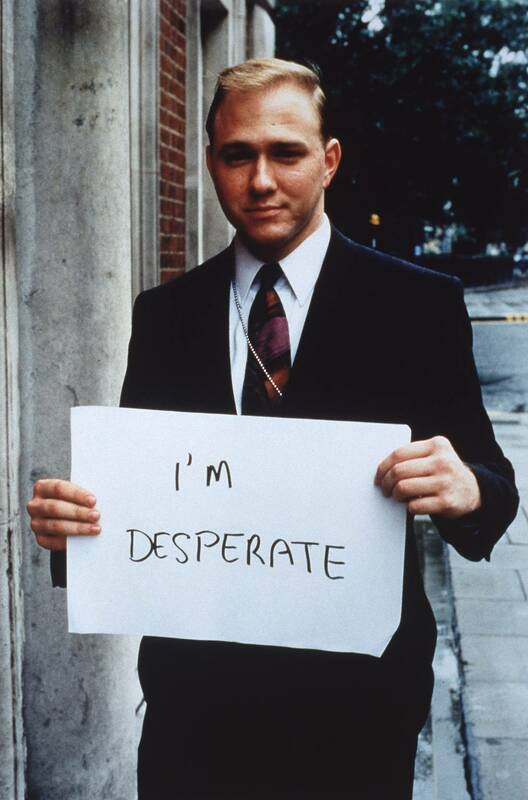 In the 1990s, British artist Gillian Wearing turned our perception of these as merely a revision tool on its head and created a piece entitled ‘The Flash Card of the Teacher’ (1992-3). In the piece, instead of photographing pupils with flash cards, she asked teachers, in the week before the final exam, to use the flash cards to express exactly how they are feeling as they try to ensure their pupils achieve their target grades. In an interview, the artist has stated that the teacher’s line manager is just out of shot in this image, frantically gesticulating and waving around a piece of paper containing the teacher’s performance management targets. 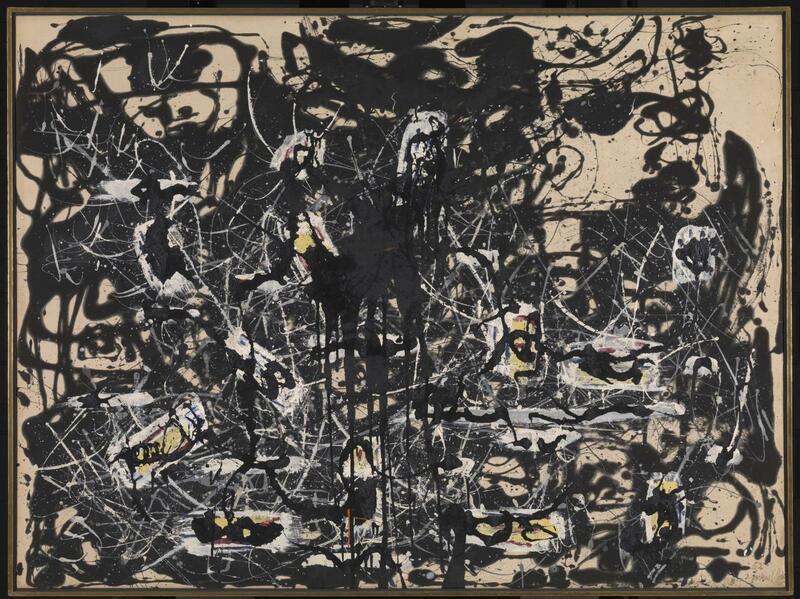 ‘A Mindmap of Everything I Know About the Hydrological Cycle’ (1952) by Jackson Pollock is a portrayal of a common revision tool: the mind map, or thought shower. In this piece, the pupil has attempted to write down everything they know about the hydrological cycle, only to throw a tantrum when they realise that they didn’t really know as much as they thought they knew. Legend has it that Pollock actually invented his famous style of ‘drip’ action painting in this exact way: he was mindmapping everything he was taught about classical art techniques at art school when he realised he hadn’t paid much attention, so ended up spoiling his canvas in a fit of rage. 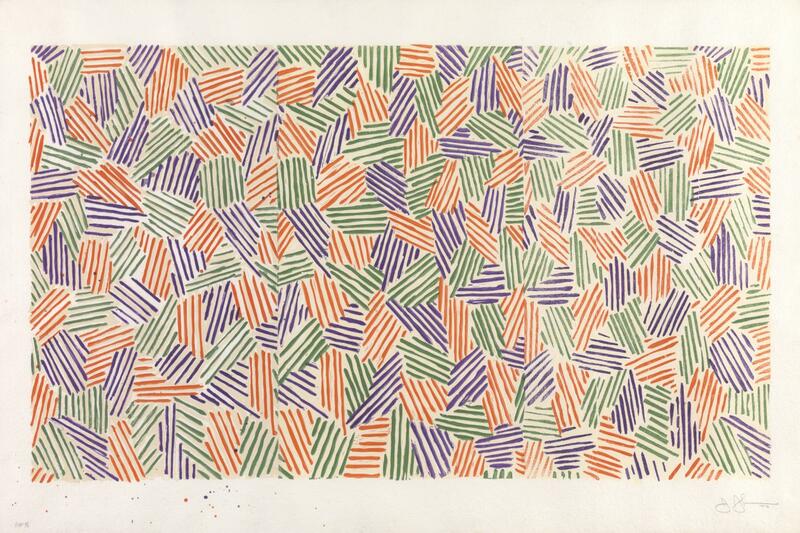 That particular ‘painting’ was later bought by Kanye West for $117m. As pupils find themselves on the precipice of exam leave, teachers are asked to give their 28th and final data drop of the year for their Year 11s. A major part of this data drop will include the need to predict their pupils’ GCSE grades. Whilst under previous specifications these predictions were fairly difficult, they have become an arcane act under the new 9-1 GCSEs. With 100% exam in many subjects, teachers no longer have any coursework grades as a basis, and combined with a lack of any direction as to how the raw marks will convert to actual grades, this has left teachers turning to the occult to make their predictions. 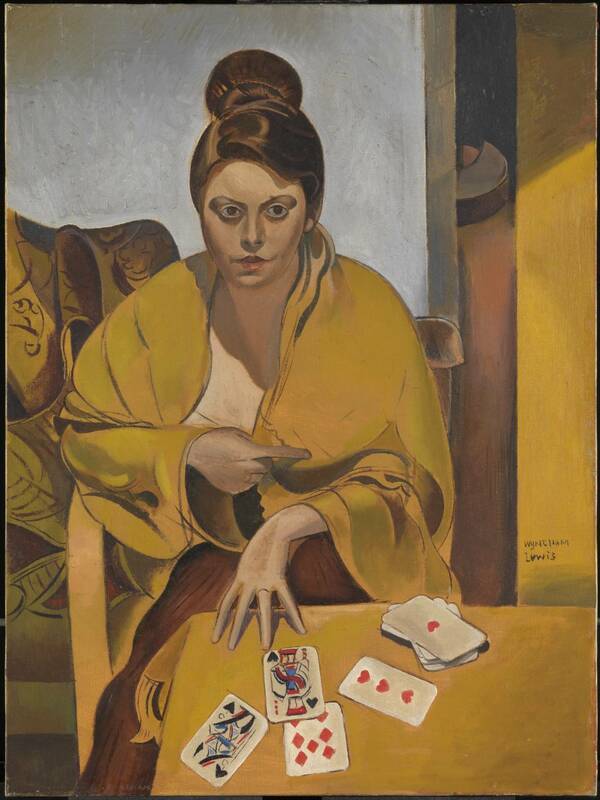 In Wyndham Lewis’ ‘Predicting 9-1 Grades Just Before the Final Exams’ (1938), we see the teacher depicted calling on the help of the spirit world before drawing numbers randomly from a pack of cards prior to entering it into her prediction spreadsheet. As the exams loom heavily over the class, the teacher finds themself offering extra lessons after school, at weekends and often during the Easter break. 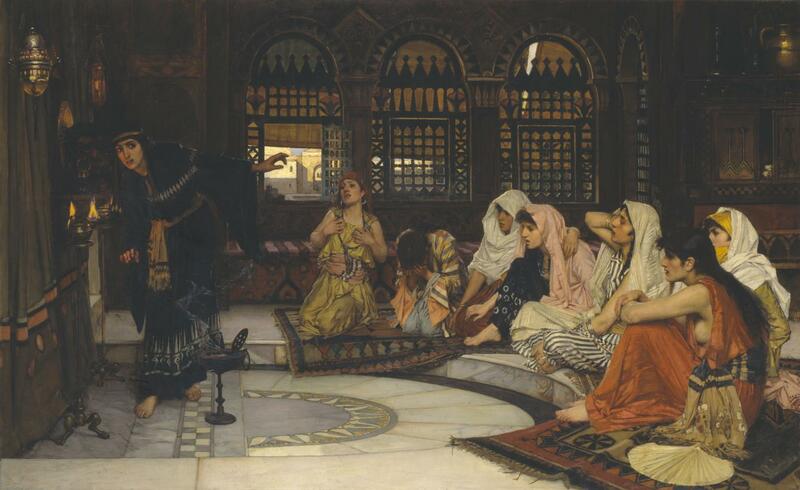 The painter John William Waterhouse captures such a moment in ‘Extra Revision Lessons’ (1884). 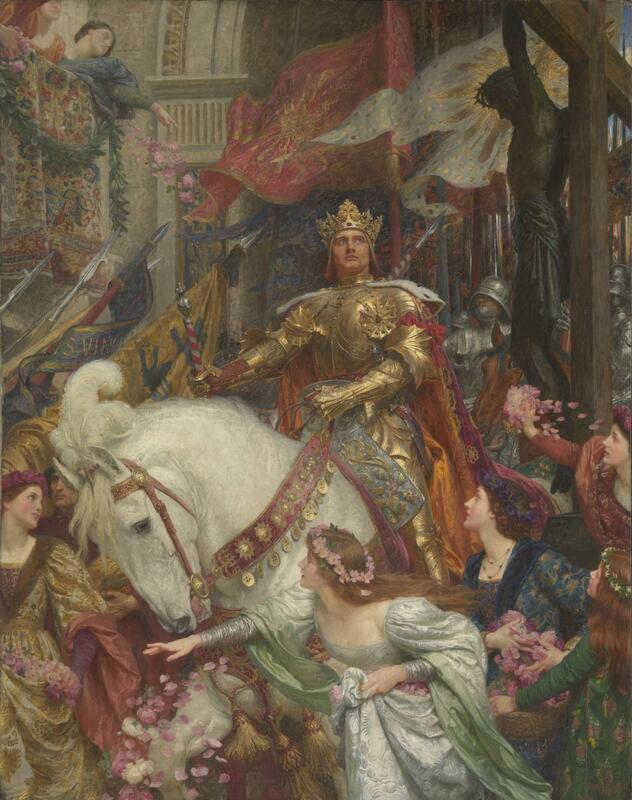 There are a number of interesting details in this painting. Critics point out the look of frustration on the teacher’s face as she goes through something she has taught a few times already during regular lessons, remembering that some of the pupils in the room weren’t paying any attention then because they knew that their teacher would go back through it again in these extra lessons anyway. Another thought-provoking detail is the pupil with her head in her hands. Critics suggest that she is having a nap as she thinks that merely turning up to these extra lessons is sufficient for her pass her GCSE in the subject. It is likely that this pupil has also bought a revision guide which sits untouched but also carries a similar magical power. As the exam rapidly approaches, a greater number of pupils begin to realise that they will have to start working harder. 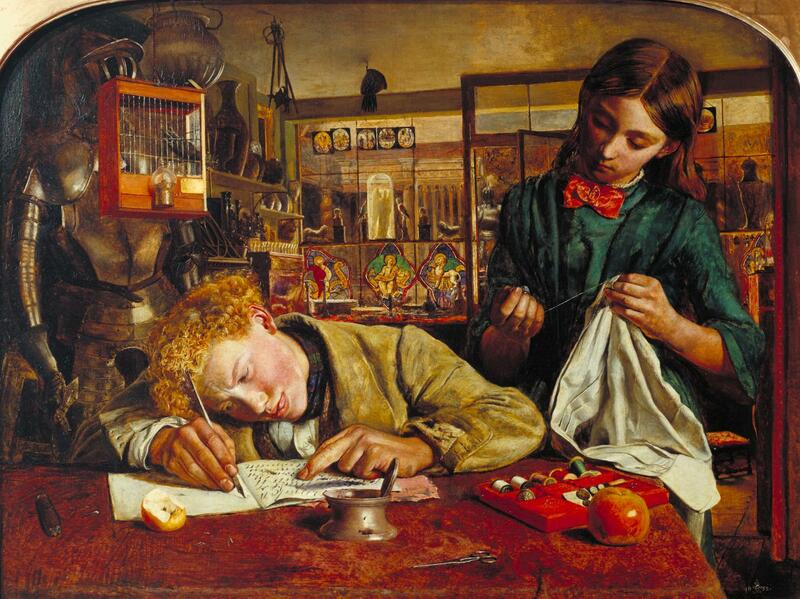 In ‘After Four and a Half Years of Avoiding Work, It’s Finally Clicked for Bobby’ (1852), the artist Robert Braithwaite Martineau shows the moment when a particular pupil who has lacked motivation for so long finally pays attention to the work he is being asked to complete. We can see the enigmatic look on his fellow pupil’s face as she peers over his shoulder, having endured many years of ‘Bobby’ distracting her and the rest of class. It is a look that has been interpreted in many ways by critics: from supportiveness and respect for his newfound work ethic to a smug ‘I told you so’ at his obvious struggle. Many artists have tried to depict the experience of the exams themselves. 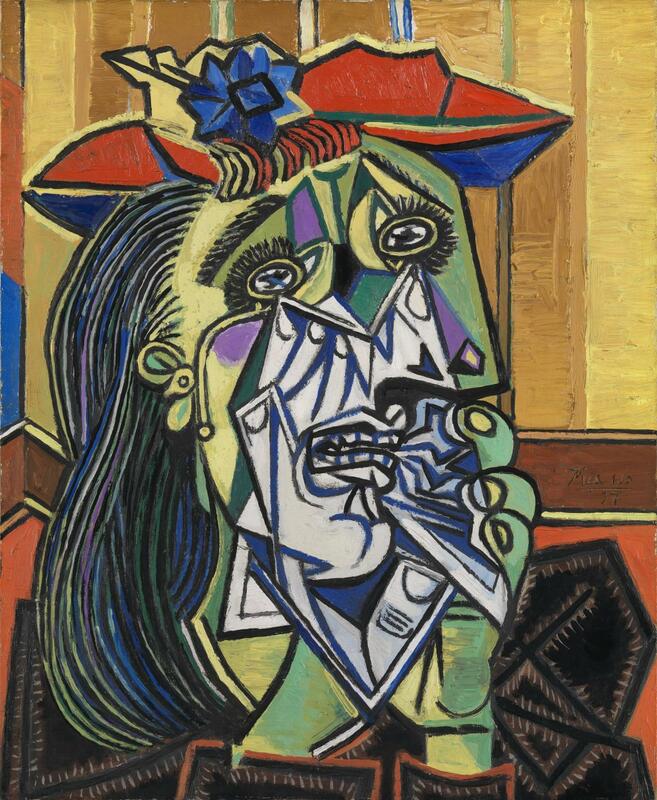 Arguably the most famous painting of the exam season is Pablo Picasso’s ‘OMG Steph Told Me She Wrote Something Different For That Question and Now I’m Questioning My Entire Exam Paper’ (1937). There is a strong moral message in this painting as Picasso warns the viewer of the dangers of discussing the paper with other pupils after they leave the exam hall and the consequent feeling of doubt that will naturally ensue from this. The lurid red juxtaposed against the bilious green and yellow represents the conflict in the pupil’s mind as they go over everything they wrote and decide all of it is invalid because her friend wrote something slightly different to her on one of the questions. Once exams are complete, pupils begin to think about results. This involves thinking about future plans – colleges, apprenticeships, careers. But more immediately, pupils must prepare for results day and how they will pose when a photographer from the local paper comes in to school. Pop artist Sir Eduardo Paolozzi’s ‘Practising Leaping for the Local Paper’ (1972) depicts a pupil preparing for just this moment. 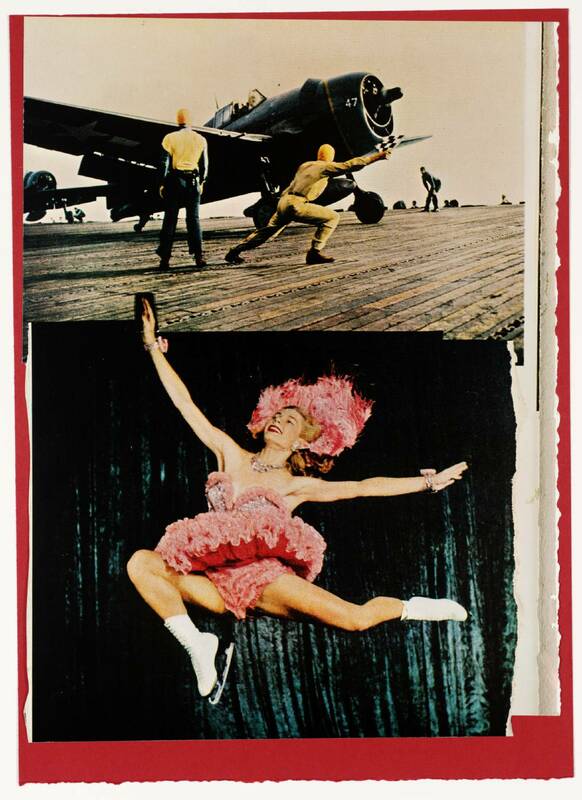 The work concentrates on the difficulty in getting airborne whilst maintaining a sense of joy and grace, and he sets the image of the pupil against a propulsion airplane to effectively illustrate this eternal struggle of flight. Of course, whilst the exams are a worthy preamble, every pupil knows that the most important date during the exam season is the school prom. Whilst some pupils may spend lots of money and time and really throw themselves into the pomp and circumstance of the spectacle, Sir Frank Dicksee chooses one of the more understated and austere entrances for the subject of his painting ‘Arriving for Prom’ (1900). This painting is a natural conclusion to some of my favourites on the subject of exam season. I hope you enjoy them as much as I do.